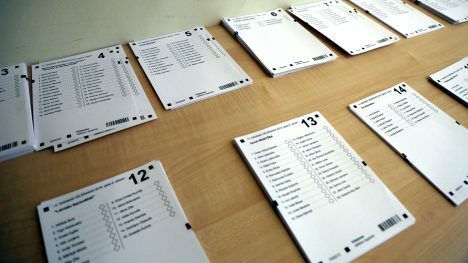 So far today Latvian Security Police has received 20 signals regarding possible illegal influencing of voters, as well as possible forgery of election results, according to information compiled by authorities. This information was collected for the period before elections and on election day before 12:00. Police also note that several signals have already been checked and information regarding violations was not confirmed in the end. At the same time, investigation of some cases continues. Police have not commenced any criminal processes yet. Security Police remind that intentional influencing of people’s right to vote is a criminal offence. Authorities invite Latvian residents to report vote-buying cases by phone (67208964) or by e-mail (dpdd@dp.gov.lv) at any time of day. At the same time, Security Police also ask residents to report cases when election commission members are suspected of committing possible illegal activities, such as intentional incorrect calculation of votes in favour of some candidate or political party.